Our products are specifically designed and manufactured to withstand nature's elements. 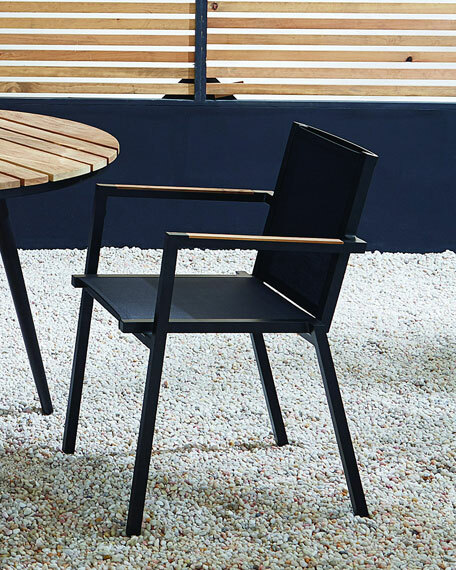 Made of high quality weather resistant materials and finishes, LANE VENTURE furniture offers superior comfort and style all year. Our exclusive WeatherMaster cushion is completely drainable. Dining chair with teak arms. 21"W x 25"D x 31"T.